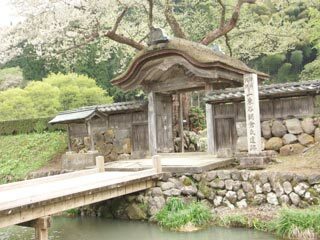 The ruins of Ichijodani Asakura Clan (一乗谷朝倉氏遺跡) is the ruins of the castle town of Asakura Clan and the former capital of Echizen located in Fukui. This historical site is designated as national historic site and special national landscape. Also, the relics found in this place are registered as the important national properties. Ichijodani is the only site which designated three important categories at once. There are four beautiful uncovered gardens which are still beautiful sceneries today. The ruins of Asakura Yoshikage's house is also another great site in Ichijodani.